June is Oklahoma Folkways Month! Oklahoma Celtic Festival, June, 20 & 21 in Stillwater. Enjoy bagpipes, kilts, dogs, horses, and lots of singers. Juneteenth, June 17 in Tulsa. Celebrate a unique African-American holiday with gospel, R & B, jazz and more. Red Earth, June 18-20 in OKC. Salute American Indian cultures from all over the continent as they display art, sing, drum, dance, and wear traditional outfits. It is Oklahoma’s special homecoming. Spirit of Oklahoma Storytelling Festival, June 4 & 5 in Seminole. Hear funny, scary and wise stories from all over the Sooner State. Jazz in June, June 24-26 in Norman. Hear jazz and blues performers recall the past, present and future under the stars in Norman. Oklahoma Folklife Festival, June 19, 2010 in OKC. Celebrate the cultural heritage of Oklahoma with dance, music and crafts at a free festival. To learn more about Oklahoma folklife visit it online. For the best in family fun learn about Oklahoma’s rich heritage in folklife. Hear many kinds of traditional music, see and participate in traditional dancing, have an appreciation of traditional crafts, and celebrate Oklahoma’s colorful storytelling. You can find it just a few miles away in your home state. For more information contact Rodger Harris at (405)522-5207 or by email at rharris@okhistory.org. #2611, Oklahoma Division UDC is having a special history lunch for those early birds to Oklahoma Division Convention. 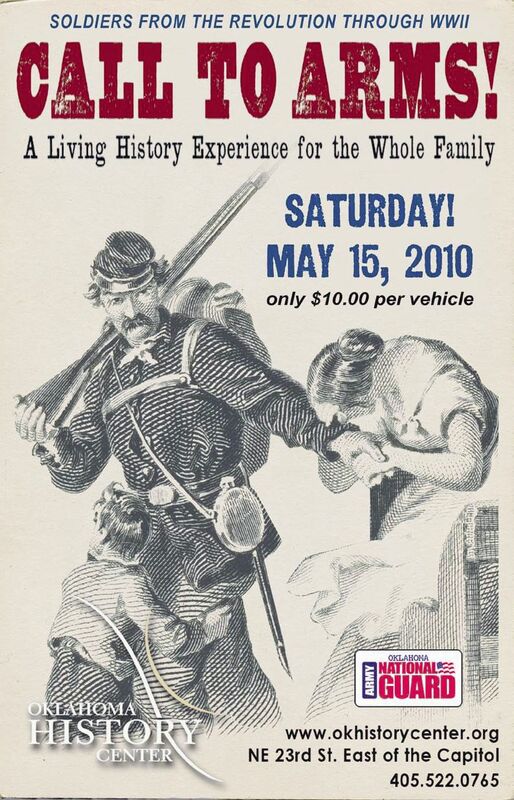 Fun, fellowship, and Confederate history will be had by all! We are excited to be joined by Oklahoma Native Author, Steve Warren. Though open to anyone who wishes to attend, paid reservations must be made no later than June 1, 2010 for this $16.00 luncheon. OHC – Call to Arms! Upcoming historical programs with the OHC, as reported in the Mistletoe Leaves that may be of Southern interest include: May 8 & June 12, 2010 Quilt Block of the Month Class – Sod House Museum, Aline. Popular Movies are a great inspiration, but costumers recognize that many elements were “enhanced” with poetic license. A few movies to check out include: Gone with the Wind, Gangs of New York, and, in 2010 – Creation. Oklahoma Daughters who are attending 2010 Oklahoma Division Convention Historical Evening: The possibilities are endless for a historically flavored evening ensemble. Looking for accuracy in War Between the States outfit? Another idea is to museums and seek out the professional knowledge found there. Put on your thinking cap, open your eyes and you will likely amaze yourself.